Celandine is not having a happy time these days. Her governess, Miss Bell, is quite simply beastly and Celandine cannot seem to stay out of trouble. Then, after she has an accident at a picnic and while she is resting under a tree, Celandine sees something most peculiar; in the branches above her head she sees a small person. The creature is roughly dressed, dirty, and so very small. He is also eager to have some of the cherry cake that Celandine has with her. Celandine isn’t sure what to think of this most bizarre encounter and certainly the grown-ups in her life think that she imagined the whole thing. Celandine’s brother is willing to give her the benefit of the doubt and they spend a whole day trying to find the little "manikin" that Celandine found. They don’t succeed however and it is some time later when Celandine, after a terrible encounter with Miss Bell, runs off and meets the little person again. This time he takes Celandine into the woods where he and his people "the Various" as they call themselves, live. There can be no doubt that Celandine has found "the little people" as many humans call them and they are not at all happy that she has. She is the first "Gorji" or giant who has ever tried to make friends with them. Careful not to upset the shy little creatures, Celandine tries to befriend them, bringing them little gifts and most important of all, telling no one of her discovery. Then Celandine is sent away to boarding school, a terrible place where bullies do their best to make her life miserable. There comes a time when Celandine cannot take the abuse and unhappiness any more and she runs away - away to the only place where she feels safe and happy - to the hidden world of the Various. This time though she discovers that the world of her little people can be just as dangerous and painful as the world of humans. This sequel to "The Various" will sweep the reader off to a time and place long ago. Feeling lost and isolated a young girl takes comfort by immersing herself in a world quite unlike her own - one where food is hard to find, where the rules are different to the ones she is used to, and one where she has something to offer. 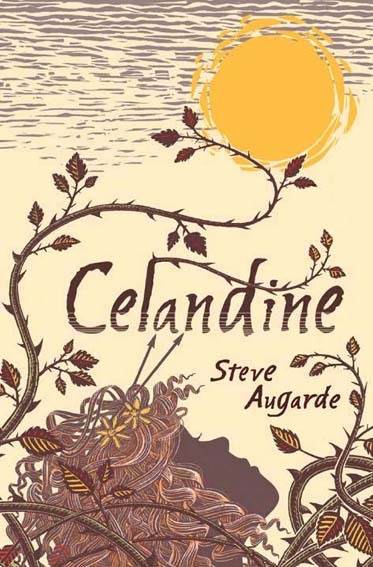 Celandine’s struggles to survive are painful, poignant, and fascinating. In many ways she is not unlike the Various. Like them she is trying to find her place in the world and like them she has a vein of magic running through her which makes her different and special. Beautifully crafted, this book is sure to capture the imagination of readers, especially of those who have a sympathy for the downtrodden and those who have an interest in creatures of Faerie.